Fragrant Nature Resort is located on tranquil Mala Lake in Kollam District, Kerala at 6 kms off NH-47 (Cochin-Kollam highway). Fragrant Nature is a small Ecotourism Resort consisting of five spacious villas and a restaurant nestled amongst coconut palms on over three acres of waterside land on Mala Lake near Paravur, Kollam District. 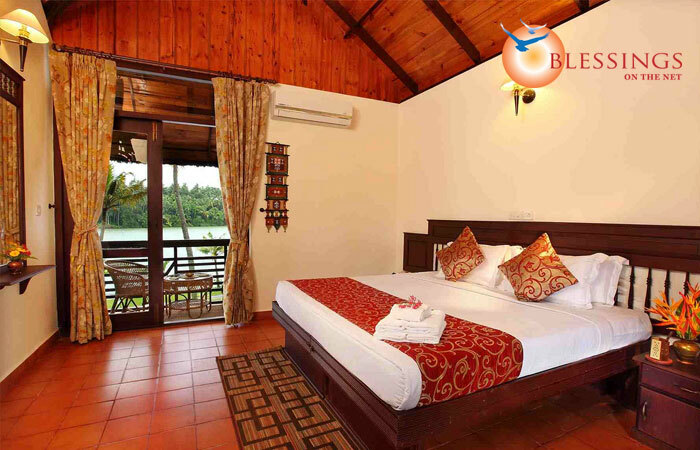 The resort offers cozy accommodation in Luxury Lakeside Rooms and Deluxe Lakeview Villas. Each room is traditionally decorated, and is equipped with all the modern comforts. 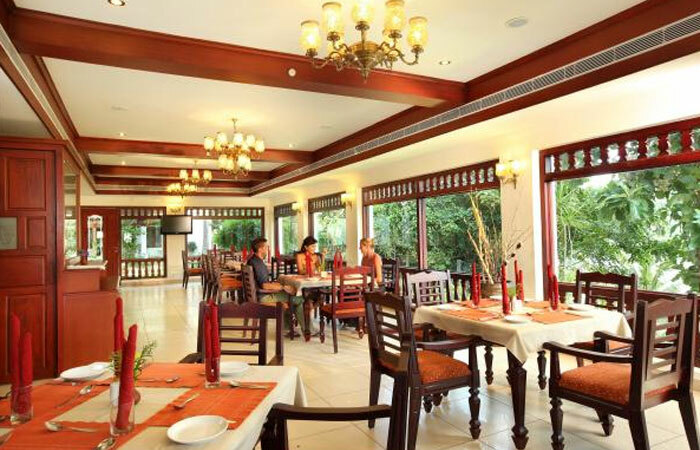 Sattva: An exclusive restaurant serving a wide range of fresh Keralean food and Continental dishes..
Use of all resort facilities like swimming pool, Jacuzzi, Health Club, Recreation, Fishing Spot etc.